GSMArena team, 19 August 2016. 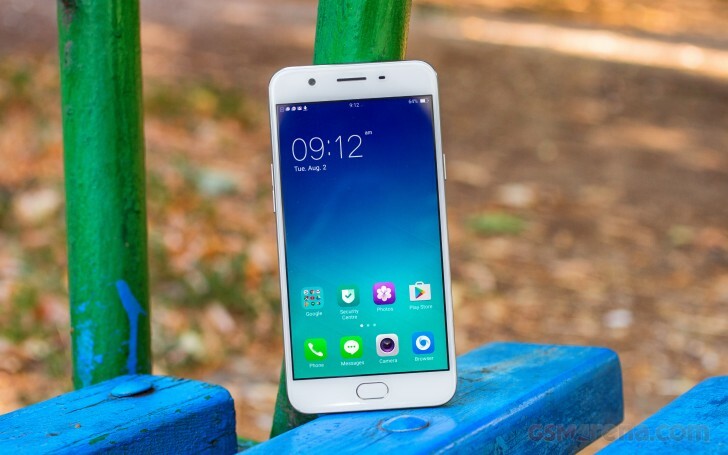 Oppo has always had its own way of standing out among the growing crowds of Chinese phone manufacturers and judging by sales reports and fan approval, the OEM seems to be doing at least something right. The F-series of affordable, camera-centric devices has played a vital part in this success formula since the beginning of 2016. 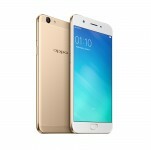 The Oppo F1, the original "selfie-expert", managed to appeal to a surprisingly broad user base. Its obvious selling-point aside, the F1 proved to be a quite decent all-round mid-ranger with fast performance, great build quality, excellent display and nicely sounding speaker. But it was the F1 Plus, the follow-up that came a couple of months later, that really got the series popular. It ushered in a design change and addressed many of the weak points of its predecessor, with additions like a bigger, 1080p AMOLED panel, MediaTek Helio P10 SoC, 4GB of RAM and an even better 13MP selfie shooter. Naturally, the price point was changed as well, almost doubling the $250 or so asking price of its predecessor. Despite the price hike, however, the F1 Plus sold quite well helped by a successful marketing campaign. At one point Oppo even claimed it is shipping an R9 unit (its model name in China) every 1.1 seconds for a total of over 7 millions about two months ago. With such numbers, it is only natural for the Chinese OEM to do the best it can to keep the ball rolling. Enter the F1s. It is a rather controversial step that could either make or break Oppo's next few quarters. Instead of leaning on the popularity of the F1 Plus formula, Oppo apparently decided to bring its prices back down again and re-focus on the budget segment. This has resulted in a device that is in the original F1 price league with a $270-ish price tag, but also way too close to it specs-wise for anyone looking for an upgrade. It looks like Oppo tried to make a cheaper version of the F1 Plus, but they might have just gone a step too far in slimming down the specs of their new proposal. What this means is that performance-wise, the F1s positions itself dangerously close to the original "Selfie expert," which is far from ideal when you are spending close to $300. This all sounds quite gloomy, but at least the F1s has the stylish and slick new exterior design going for it. Follow along in the next section for a more in-depth look.